Daniel Richter has developed a GUI to manage Grub settings. Startup Manger used to be there for Grub Legacy but it has lost some functionality with Grub2 and Grub2 is the default since Ubuntu 9.10 and onwards. 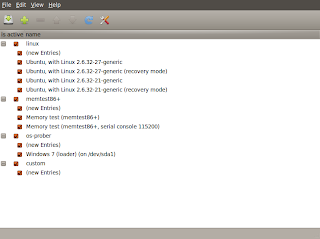 At present Grub Customizer allows to edit, rename, re-order or freeze Grub entries. It also allows to change the background colors of Grub menu or add a custom picture and supports BURG customization also. Starting from v 1.5, you can now use Grub Customizer from a Live CD/USB environment to fix your boot issues. We'll cover that sometime later. Grub Customizer doesn't touch the original boot.cfg that is an automatically generated file. Instead, it modifies the scripts and configuration files so your settings are preserved in case of Grub updates or if you run sudo update-grub. 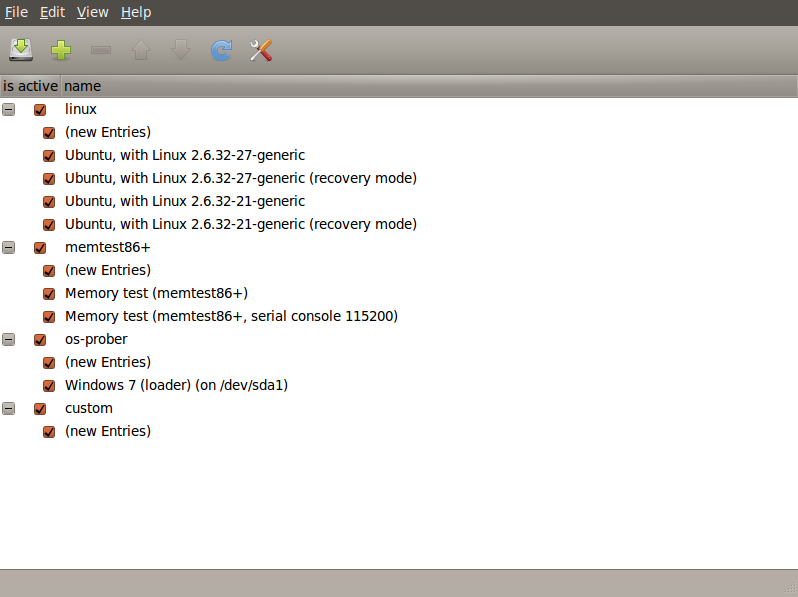 Once installed, Grub Customizer will appear under Applications > System Tools > Grub Customizer. You can find Grub Customizer FAQ here. For a Guide on Grub Customizer's features, see here.